Taking vitamins and supplements can help some people improve their health. Throughout the ages, cultures from around the world have used herbs to heal wounds and promote better health. Garlic has been used as a medicinal herb for thousands of years because of its numerous healing properties. For millenniums, people have used it to help with everything from leprosy to scurvy. 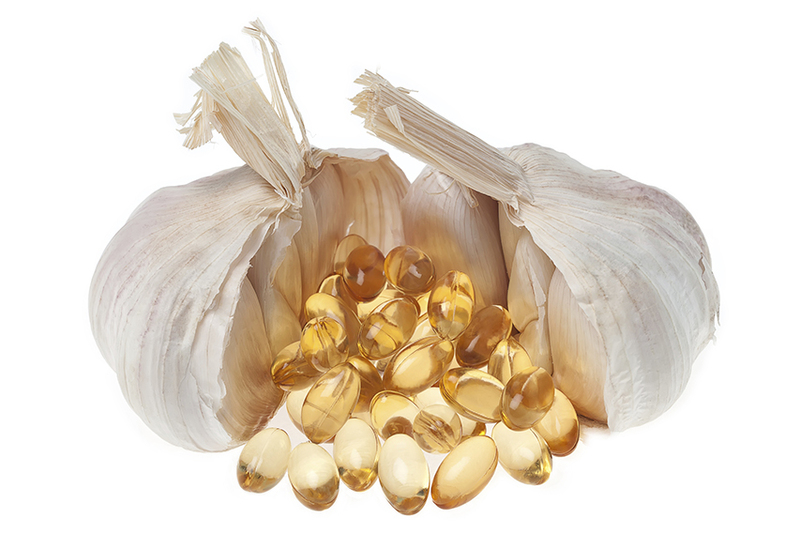 Thanks to the convenience of capsules, it’s easy to get the amazing health benefits from garlic. Read more about garlic to discover the answers to these questions. Garlic is a perennial bulb made up of 10 to 20 asymmetrical cloves with a flowering stem that can grow up to 3 feet tall. What’s the history of using garlic for its medicinal purposes? The virtues of garlic were inscribed in the pyramids of ancient Egypt. It has been used for a variety of purposes from treating leprosy to managing clotting disorders in horses. Physicians in the Middle Ages prescribed garlic for deafness, while Native Americans have used it as a remedy for earaches, flatulence and scurvy. It’s been used around the globe for countless other health-related issues. How can garlic help with the common cold? With its microbe-killing properties, garlic has always been considered as sort of an antibiotic. Renowned for killing bacteria, viruses, fungi and parasites, garlic can eliminate a host of organisms. In a study published by the National Institute of Health, those who were treated with garlic supplementation had significantly fewer colds during a 12-week period compared to those taking a placebo. Does garlic improve my heart health? Numerous studies about garlic and its affect on heart disease have shown that garlic supplementation helps prevent blood clots and helps decrease the stickiness of platelets that clog arteries. In a study in The Journal of Nutrition, garlic supplementation also helps lower blood pressure, and can help reduce the incidence of heart attack and stroke. How does garlic affect cancer? Several studies have shown an association with taking garlic and the reduced risk of cancers, including breast, prostate, stomach, colon, esophagus and pancreas. A study of 5,000 Chinese women and men who were at high risk for stomach cancer took 200 mg of garlic extract or a placebo for 5 years. The risk for all tumors was decreased by 33% for all cancers and 52% for stomach cancer compared to the group that only took the placebo. Can garlic help prevent cancer? Garlic’s antibacterial properties might protect the body from developing cancer by blocking the formation of cancer-causing substances and halting their activation. Garlic might also enhance DNA repair. What should I look for in a garlic supplement? Make sure it contains at least 180 mg of allicin and is produced by a reputable herbal company or sold at a specialty store that sells dried herbs. Allicin is the key ingredient in garlic that gives it its anti-bacterial power. It also helps lower lipids, is an anti-blood coagulant, helps reduce high blood pressure, helps halt cancer, and is an antioxidant and germ killer. Just like with any supplement, vitamin or herb, a physician or medical care provider should always be consulted before taking anything new. Some medications can be affected by garlic, while others may be allergic to it.